Tara has an addiction. An addiction to fast cars, Kustom culture and overlanding. An addiction to vintage fiberglass boats and motorcycles. An addiction to anything with a defined style and an engine. From this addiction she has formed many friendships and is sharing her love for the automotive hobby through her writing. 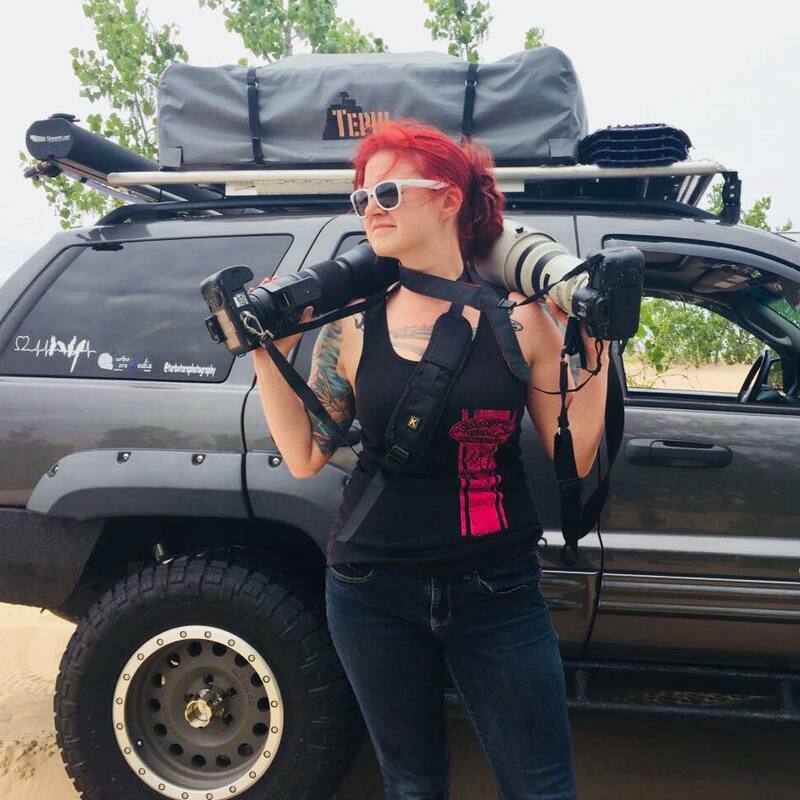 As an Automotive Journalist and Photographer, she focuses on the impact that the hobby has on everyone's lives. She has found that everyone has a story, and she wants to be the one to help the passionate people of the hobby get their story heard. Her primary focus is the women involved in any aspect of the automotive hobby or industry, but she also loves anything having to do with 1950s-60s hot rods, motorsports, automotive event and car show coverage, and off-road vehicles. If it's an odd niche in the hobby, Tara loves it. Tara is a car gal at heart, and when she isn't writing or managing her 501(c)3 nonprofit parrot rescue, she is in the garage working on one of her many projects, including a custom 1961 Cadillac Series 62, '63 Dodge 440 Wagon (gasser project), and her 2004 Jeep WJ Overland rig. When she isn't in the garage, she is out in the field immersing herself in the automotive hobby or exploring trails with her Jeep. She has been published online by Driving Line, Roadkill, Rod Authority, SpeedHunters, Throttle Gals, Rally-eMag, Hagerty, Yahoo Autos, Fox News, and eBay Motors. Print publications include Grassroots Motorsports Magazine, Hagerty Magazine, Throttle Gals, Girls'n'Garages, SHIFT, and Show and Cruise News. Tara was named "Woman of the Month" by the International Women's Automotive Society in January 2016 for her contributions to the automotive industry and for showing support towards other ladies in the industry. She appeared in a Rat Rod Magazine podcast in 2016. Tara also entered and won her first pinup competition at the 2013 Relix Riot hot rod show, proving that gals that work on cars clean up just as good as the rest!